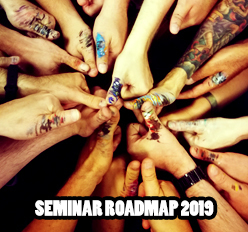 MASSIVE VOODOO: News: Seminars 2019 - Enrollment starts! Information PDF, linked up behind every seminar. Roman is teaching seminars in the US again this year. You will find him teaching exclusively at the NOVA OPEN 2019. More information soon! to this I am preparing some special guest seminars in Augsburg again in 2019. Stay tuned for more information. There are 4 Kommentare for News: Seminars 2019 - Enrollment starts!